The IMS data indicate that Americans spent $308 billion on pharmaceuticals last year; collectively, we consume 47% of all pharmaceuticals by the drug categories with the biggest total expenditures, one can conclude that, “the US is psychotic, depressed, has hyperlipidemia and heartburn!” Dr. Guarneri joked. But it’s really not a joke. It’s a frightening reality, one that’s economically unsustainable. Like many clinicians involved with Bravewell, Dr. Guarneri believes that a fundamental shift from disease-based interventions to wellness focused care has tremendous potential to save lives and save money. “We have the tools. We know that for every dollar we spend on, say, the Ornish lifestyle based programs for CVD, we save $6. We have the research. 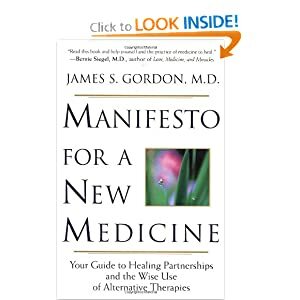 We need to apply it.” Last year, Dr. Guarneri co-authored a review paper entitled The Efficacy and Cost- Effectiveness of Integrative Medicine, documenting the actual real-world outcomes and savings from application of integrative principles and practices in treatment of heart disease, stroke, cancer, diabetes and depression. It is not my intention to suggest that our current model is not needed, rather that I’ve found it to be lacking and not in resonance to this idealized prevention and wellness model in my mind. To me, health is more than the absence of symptoms; it is about thriving and the ability to participate in life with full vitality and joy! This is why I continue to study Naturopathic and Functional medicine. This is also why most of my blogs continue to stress the importance of a holistic and systems biology approach to medicine. 2. Make your way safely through the grocery store aisles—with a very famous doctor! Prior studies in rodents showed that abdominal obesity resulted when chronic stress caused chronic secretion of glucocorticoid hormones, such as cortisol. Fat cells are among the direct targets for cortisol and other glucocorticoid hormones. In comparison to subcutaneous fat cells – ones located just under the skin – abdominal fat cells have more glucocorticoid receptors to capture the hormones. The researchers found that women who were the most stressed out were the most likely to report that they eat more in response to emotional upsets. And these highly stressed women had significantly more abdominal fat, on average, in comparison to women who did not experience such a high degree of chronic stress. Among women who ranked in the top quarter for chronic life stress, having more abdominal fat was associated with lower daily cortisol secretion, and with less hormone secretion in response to acute stress. This leads us to baby step #3 in this series on using food as a foundation for health. It is is to remove the obstacles that causes you to reach for candy over carrots from that Christmas credit card bill or a work mandated overtime. For dietary emergencies like these, the power is in planning in advance for these times. It’s a hard balance act to do in this hyperactive society, but a critical component in preventative medicine. Even for myself, I have to admit, it can be tough. I often catch myself popping supplements and grabbing something quick while doing charts vs. sitting down to a nice, nurturing lunch. Thank goodness, I have healthy bars and nuts and seeds on hand for such occasions. (I learned in Arizona, eating nuts can help with blood lipid profiles, are anti-inflammatory, nutrient dense, and balance blood sugar, and as we know cortisol cause a spike in blood sugar). I’d also like to add that there are many ways to manage stress and prevent this cortisol rush. One big tip is to remember to be kind to ourselves as we make the transition from stress eating to nurturing behavior. High fructose corn syrup, trans-fats, and claims of “health foods” which are actually loaded with sugar, are lurking on even the kindest grocers’ shelves. Like everything else, with food, awareness is the key to change. Now that we’ve planned what to eat, we need to follow through and actually grab the right things for our body, and bypass that endcap of HoHos and Peeps (I used to love the pink chicks). Therefore, to guide you in step four- follow through with the plan, here is a link to a video commentary with Dr. Hyman and Tanya Amen. In this 20 minute video, these pioneers in true medicine show us how to avoid harmful foods and survive your next grocery store trip with little to no temptation. How fun! You can actually take a shopping trip with two of the most well-known and educated integrative physicians in the world! Whoo-hooo…..
Goldman, Eric. Bravewell Collaborative Honors Guarneri, Celebrates a Decade of Progress. Holistic Primary Care Winter Edition 2011. Is Your Birth Control Hurting your Partner? Nature’s Antifungal as Good as Rx Drug? Genetic Differences in Detox highlight Negative Drug Reactions- Functional Medicine to the Rescue! Trader Joe’s is Coming! It’s True. Thanks Bruce Roter and the Crew. Time for a symptom re-evaluation? All patients can now download the symptom survey done at the original visit online. If you haven’t re-evaluated your symptoms in a year or more, it may be a good time to fill out the form again and bring it in to your next visit. (Please add the numbers in every section when you return it). January 11, 2012 Are You Fizzling Instead of Sizzling in the New Year? Has the hustle and bustle of year end activities taken its toll on you? Are you finding getting out of bed in the morning to be harder than usual? Is your energy dipping earlier in the day? Listen in today as Marcelle talks about getting your energy back! Learn from a leader and pioneer in the importance of self-care and how mind-body and science unite for truly holistic medical system. The Rest of Fun Facts on my Saratoga.com blog. Listen to my colleagues and other experts as they discuss solutions to menopausal issues on a show dedicated just for women in mid-life! Here is a link from my interview on 360menopause Radio Show on Panic Attacks and Menopause and a list of archived shows.